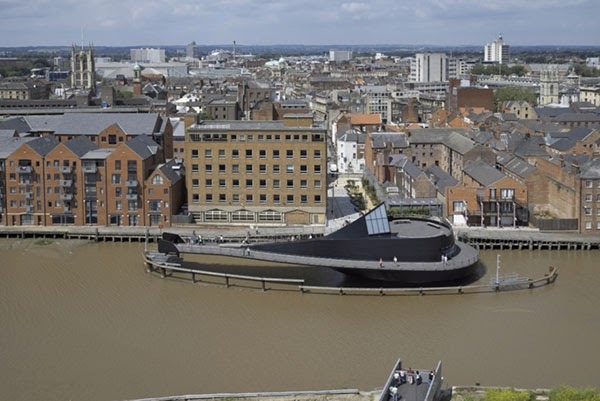 An innovative swing bridge located in Kingston upon Hull that allows pedestrians to ride on the bridge as it opens and closes to river traffic. 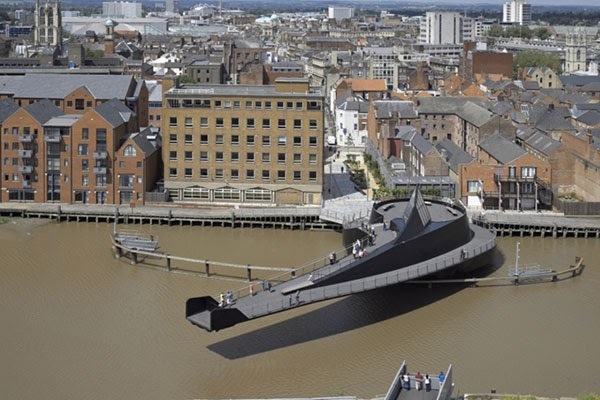 When activated, the movement of the bridge is accompanied by a rhythmic bell to alert pedestrians of the imminent rotation. 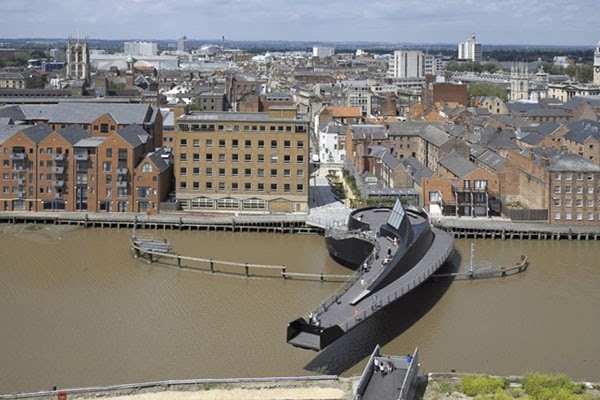 The rotation is sufficiently slow that pedestrians from the west bank can still hop on the bridge as it's rotating.